Chairman & CEO, Campbell Transportation Company. 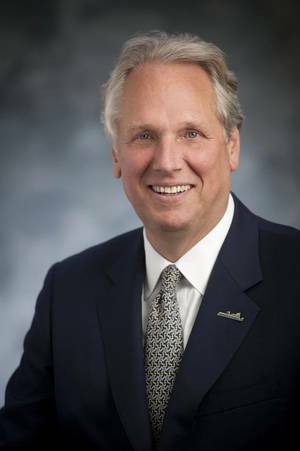 Peter H. Stephaich is Chairman and CEO of Blue Danube Incorporated and Campbell Transportation Company. Currently, he is also Chairman of the Board of the Waterways Council, Inc. (WCI). Peter also serves on the Board of Directors of Blue Danube, a position that he has held since 1982. Serving the barge industry for over 30 years in a number of key roles, he also counts among his many qualifications his tenure(s) as Past Chairman and Past Treasurer of the American Waterways Operators (AWO), Past Chairman and Trustee of the National Waterways Foundation, Vice Chairman and Executive Committee of Waterways Council (WCI) and as Commissioner and Vice Chairman of the Port of Pittsburgh Commission. Stephaich and his firm, Campbell Transportation Company, own and operate boats, hopper barges, and jumbo barges on the Upper Ohio River. The company specializes in servicing industrial customers on multi-year barge transportation agreements. It moves primarily coal to utility and steel industries. Campbell Transportation Company has approximately 500 employees, owns and operates 50 boats, 1,100 barges and four shipyards. Peter brings a unique perspective to the inland river business. Prior to arriving on the domestic waterfront, Stephaich lived in Europe and New York City where he worked for various financial institutions, including Lazard Frères, and Bankers Trust Company. At Bankers Trust, Mr. Stephaich concentrated on international financial advisory work, mostly in the transportation and aerospace industries. A native of New York City, he earned his bachelor's degree from Middlebury College and his MBA, with a major in finance, from New York University. While he speaks five languages, he is particularly fluent in 'river' talk. You are currently the chairman of the board of the WCI. Give us your assessment of today's market conditions on U.S. inland waters, especially in the areas that Campbell operates. Talk about fleet numbers, supply and demand, etc. In calendar year 2017, 578 million tons valued at $220 billion were shipped on the fuel-taxed portion of our inland waterways system. That is up from 569 million tons in calendar year 2016. On the Ohio River, we have seen a spike in demand for coal, metallurgical and steam, both export and domestic. The domestic utility coal markets are experiencing low inventory levels, due in part to the extremely difficulty operating conditions that we experienced in 2018. What is the most important issue that inland operators face today? Is that issue the same for industry as it is for Campbell's position? The Ohio River, were Campbell mostly operates, is heavily dependent on Locks and Dams, without these structures, we can't operate. Period. Operators in the South are not as dependent on these structures. What will it take for freight rates to improve on the inland rivers? The supply and demand must come into equilibrium. Economics 101. Export coal markets have temporarily given barge/day demand a boost. We are not sure how long this will last. On the positive side, if we can work things out with China, the demand for US soybeans will return as soon as the artificial barriers (tariffs) are lifted. You completed a significant acquisition and resultant increase in your fleet numbers way back in 2017. Do you see more consolidation ahead? We absolutely see more consolidation ahead. Why? Because our markets (revenues) and weather (costs) are becoming more and more volatile. This volatility requires stronger balance sheets, with less, not more leverage. Our business calls for patient capital, which fits the family owned business model. Your acquisition of ACBL tonnage and assets came at an interesting time. With 20/20 vision and knowing now what you might not have known then, how is this transaction working out for you? What went well, what might you have done better and what might you do differently when you contemplate a similar deal in future? All these acquisitions are somewhat unique. Our acquisition has worked out very well for Campbell. All the assets and operations were on the Ohio River and were integrated seamlessly into our Campbell business. We look at all opportunities to improve our service offerings on the inland waterways. We believe Campbell is well positioned to take advantage of the consolidation that we have seen in the industry over the past few years. In your current position at the Waterways Council, Inc., give us a sense of JOB 1 looking ahead for this industry advocacy group. WCI's key goal in 2019 is to be included in any infrastructure legislation that could be developed, and, second to assure that the proposal does no harm to the inland waterways transportation industry. WCI's constant drumbeat is achievement of the national goal of initiating construction of the $8.8 billion portfolio of inland modernization projects in the next 10 years with full and efficient funding for on-time and on-budget delivery and performance. WCI just completed 95 congressional meetings in mid-February. We have very strong bi-partisan support for our inland waterway's infrastructure initiative in Washington. If there are just three things you can help WCI accomplish, on behalf of its stakeholders, in your current role, then what would they be - and why? As WCI Chairman, I intend to lend as much support to the effort to ensure that inland waterways' lock and dam infrastructure is included in any infrastructure initiative ahead. I will also strongly support WCI's work to educate new members of the 116th Congress about the importance of the inland waterways transportation system to the U.S. economy, competitiveness, national security, flood control, municipal water supply, and recreation, and the age of the infrastructure on the system that facilitates those benefits to the Nation. Finally, I will continue to broaden our very broad coalition that supports our WCI initiatives. Subchapter M is here and it is impacting the inland waterfront. Campbell is likely ahead of the curve when it comes to future Sub M compliance through its past RCP efforts. Recently, we reported that the actual numbers of COI's obtained to date isn't exactly robust - less than 200 (at year end 2018) in a fleet of more than 5,300 sub M regulated boats. Where does your firm stand in the march toward a Sub M compliant COI for each vessel? Campbell does a lot of third-party towing of liquid barges on the Ohio River. As a result of this, we are held to a higher standard than Sub M requires in a lot of cases. Many of the liquid operators and oil majors have audited Campbell through the TMSA and SIRE process and we are an approved provider. Campbell is pursuing an aggressive Sub M compliance program. We are investing heavily in our fleet through investments in our existing equipment and purchase of new equipment. We are experiencing the same issues as other operators with delays in getting COI's expediently. This is a new process for the industry, but Campbell is focused on ensuring we remain ahead of the curve. Did you choose the Coast Guard option or the TPO option? Why? How is that process going for you? We have chosen TVIB as our TPO option. We have worked with TVIB since its inception and we think that having a brown water/inland option is beneficial to our industry. Trade sanctions (and the trade war in general) are said to be impacting Midwest agriculture markets. Naturally, anything that impacts the farmers who ship bulk cargoes on the river, also affect inland operators. Give us a sense of what this has done to your markets, if anything? Boats and barges move around the country in search of the best commercial opportunities. When the grain markets are strong, equipment is moved off the Ohio. This benefits the dry-cargo markets on the Upper Ohio. Soybean farmers lost some key market access as the trade war has played out. But, then, reportedly, found new outlets for their output. Has the change been 'a wash' or, in other words, what's changed? Inland operators depend heavily on the maintenance of inland waterways. The completion of Olmsted was, in many ways, a watershed moment for this industry. Still - there is much to be done. Has the USACE done better in the last few years and do they have the tools and funding to get done what they need to do, in a timely fashion? The Olmsted project was, in the end, a success story. Through the 2014 cost-share change from 50% funding from the Inland Waterways Trust Fund paid for by the tax that commercial operators pay ($0.29 cents/per gallon of diesel fuel consumed during operations)/50% Federal Treasury funding to 85% IWTF/15% Federal funds that occurred in the Water Resources Reform Development Act (WRRDA), Olmsted was completed four years ahead of schedule and $330 million under the post-authorization change budget. Benefits of $600 million/year were also realized four years earlier than anticipated. WCI's key goal is to advocate for full and efficient funding of the Corps' Civil Works mission which maintains the inland waterways system. We can achieve more Olmsted success stories with this full funding, as we have been receiving the last several fiscal years, but we should also consider a similar cost-share change ahead for all the priority projects to complete their construction and have them delivering national benefits faster. Regarding Olmsted - something that has been described as the 'Manhattan Project' of the inland waterways - are you seeing efficiency gains from the completion of that project, as yet? Absolutely. To go from often days of delay locking through Locks 52 and 53 to the now state of the art Olmsted lock has meant efficiency gains for operators and shippers, and to those who await delivery of the product. Feeding the world is a tough job, but efficient, modern infrastructure allows commercial transporters and American family farmers and other shippers to meet their obligations in a timelier way. Yours is a PA-based firm, and you are familiar with the Port of Pittsburgh's 'wireless waterway.' While that didn't work out as well as had been hoped, what's the current SITREP with regard to tug and barge outfits trying to secure reliable and robust bandwidth and broadband? That's become so much more important with subchapter M and the advent of software-based SMS on the inland waters, hasn't it? The Port of Pittsburgh Commission was unable to financially sustain the Wireless Waterway system as it was proposed. The PPC is, however, aware of the importance and the need for reliable and full-coverage broadband for the users of the inland waterway system. The Port is currently examining federal and state programs for grants and other funding opportunities that will bring about improvements in wireless networks and electronic communication along the waterways. Outline to the extent that you can, the Campbell business plan, looking forward? Could you anticipate the possibility of another acquisition? Campbell has a long-term organic business plan, to increase our non-coal revenues. We will do this by moving different types of commodities with new customers and expand into different geographic markets. While we are executing this plan, we are also open to acquiring coal assets - at the right price. Coal saw a bit of a rebound in 2017, in part due to the problems in Australia, in part due to (perhaps) a softening policy shift in Washington. Did it last or is that decline continuing? You've said that, "We need to wean ourselves off this by shrinking the fleet and by developing new petrochemical manufacturing markets in the Marcellus / Utica fields which happen to be on the Upper Ohio river." How is the latter effort going? We have seen the coal rebound continue in 2018. The export coal markets have been strong, and the East Coast terminals are at capacity, which has forced coal exports to move through the Gulf ports. These long moves represent significant ton/miles and have consumed lots of barges. In terms of the opportunities of the Marcellus/Utica gas plays, we are seeing a gradual increase in volumes of NGL's originating on the Upper Ohio and moving to processing plants in the Gulf. In 2017, you maintained that you had the correct mix of boats and barges for your clients. How much has that mix changed since September 2017, why, and where do you stand now? We have seen tremendous amounts of rain in our region. In 2018, Pittsburgh saw a record amount of rain EVER in a given year. This has caused us to increase the size and horsepower of our boats. You've said in the past, "We [meaning the industry as a whole] are so anxious for business that we have a habit of cutting our rates to the bone." This race to the bottom, as some would call it, can be a recipe for disaster. Have inland operators learned their lesson yet? I think that we hit bottom with the pricing environment. If one or more of the carriers have excess equipment, and aggressively peruses a commercial opportunity at a rate that is below a reasonable rate of return, the entire market will suffer. One of my fears is that there is so much money on the sidelines, that we can easily see an oversupplied market again. The price of new marine equipment is clearly going up, making the cost of entry more expensive. Time will tell … It always does. This article first appeared in the March 2019 print edition of MarineNews magazine.